1 Want It Done Right Presenter's Guide. 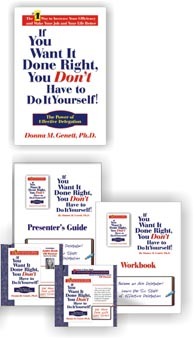 11 hardcover books of If You Want It Done Right, You Don't Have to Do It Yourself! The Power of Effective Delegation.